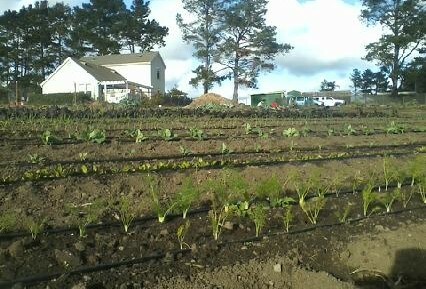 Lots of delicious winter greens, roots and herbs growing at the hillside plot for the season. 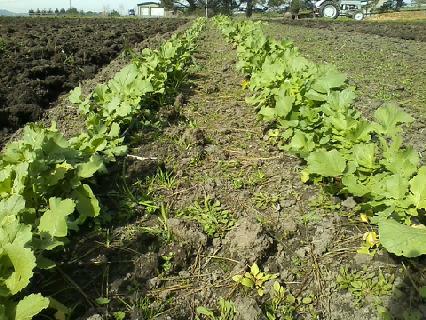 They are slowly growing up and we will be putting them in the downtown farm stand all through the fall and winter. 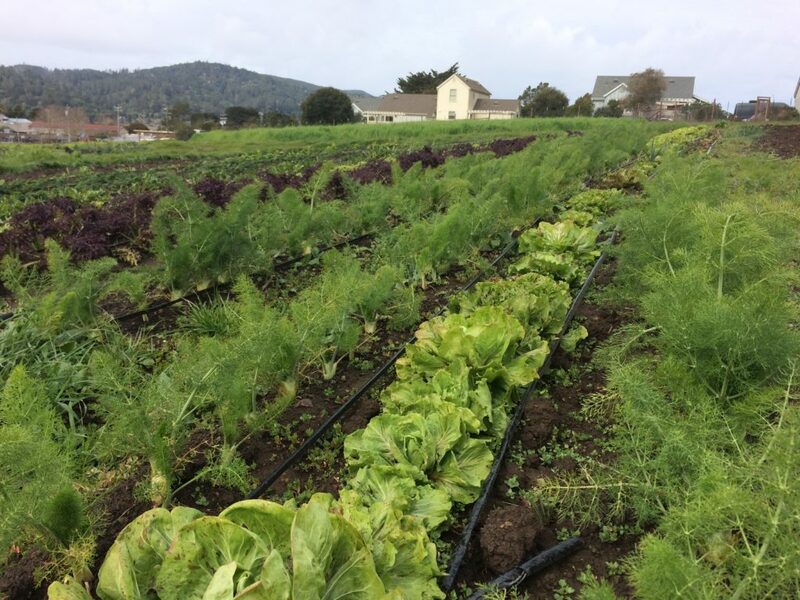 This is the first season we will have enough to keep a continuous supply of year-round produce in the farm stand, for 4-season production! yay! A big thanks to all of our land-owners for all their encouragement and support – Julia Bartlett, Dave Osborn and family, Scott Whidden and family, Tony Ragona, and Celine Underwood, owner of Brickmaiden Breads – Thank You!!. We could not do this without such a great community of empowered neighbors and friends. These potatoes are called Bodega Reds. 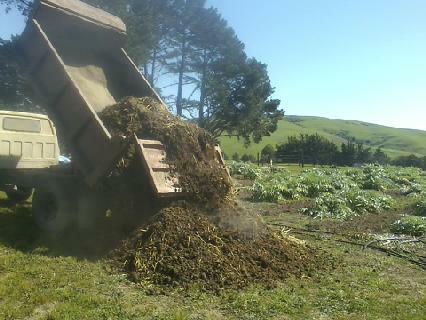 From the 1800’s through the middle of the 1970’s, they were a major potato variety grown on the north coast, mostly around Bodega Bay. Due to blight that killed off the variety, they fell off the radar and no one saw any for decades, until about 7 years ago, when one turned up. It was genetically tested and found to be this type. 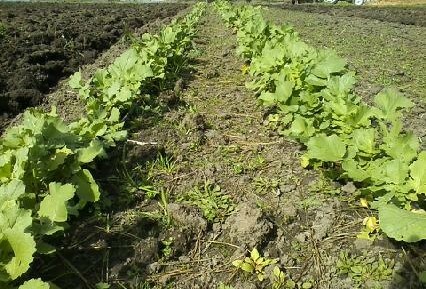 After a successful seed generation program at the USDA in Washington State, this variety is back in action! We were very lucky to have found some seed commercially this year and it performed outstandingly in the field. Come get some and taste the past! 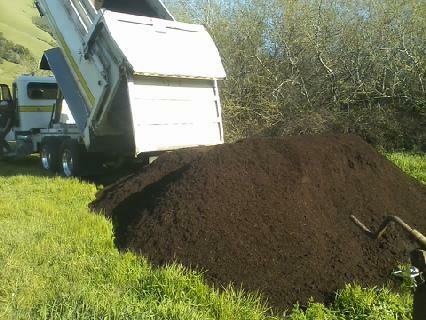 Finally was able to pick up our wool last week, which was processed and spun at Yolo Wool Mill near Davis. It has now been made into beautiful bulky weight yarn and we have 10 pounds of it from our 7 Jacobs variety sheep. 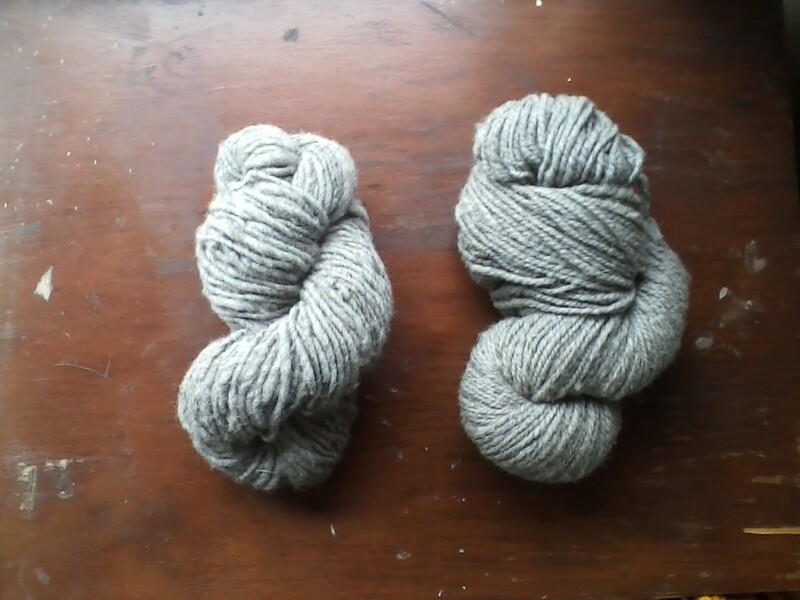 We have about 30 skeins of bulky weight yarn (shown here on the left) available for sale. 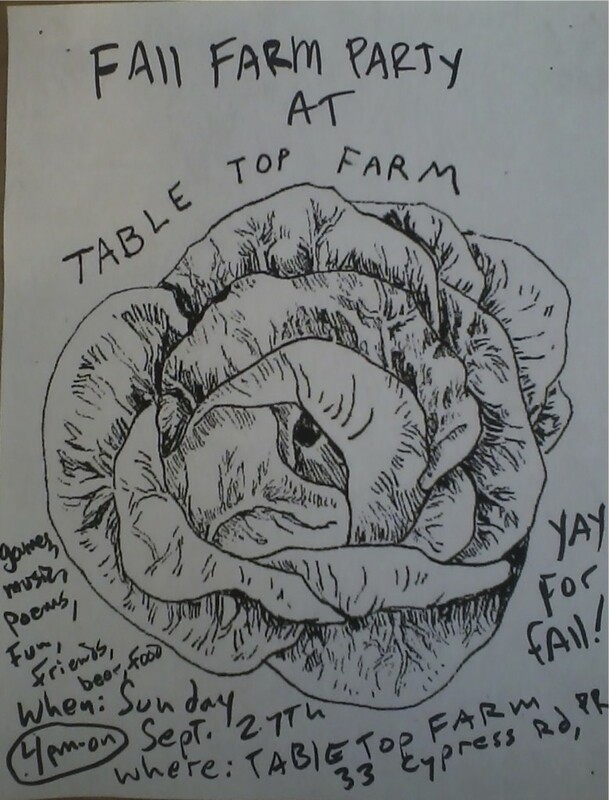 Please contact Arron at info@tabletopfarm.net. Thanks! Look for them at the farm stands. 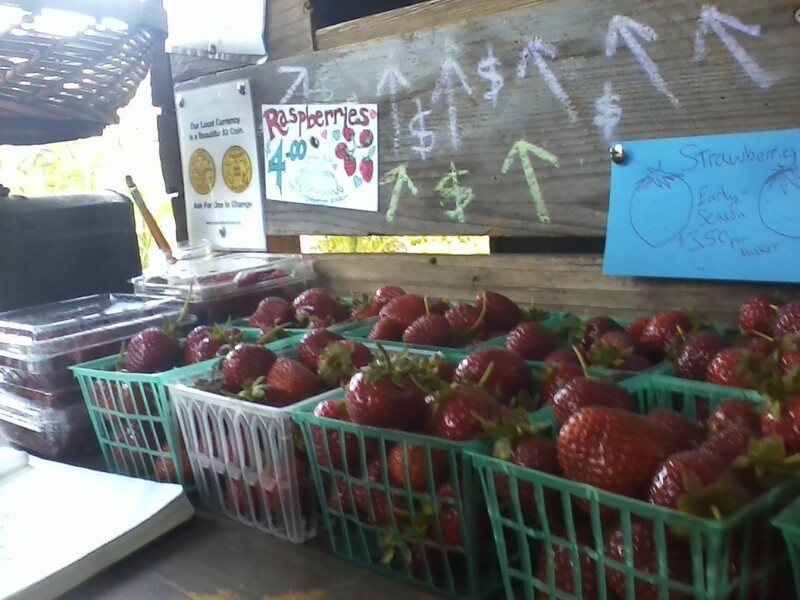 Right now, we are harvesting Seascape and Albion variety strawberries. 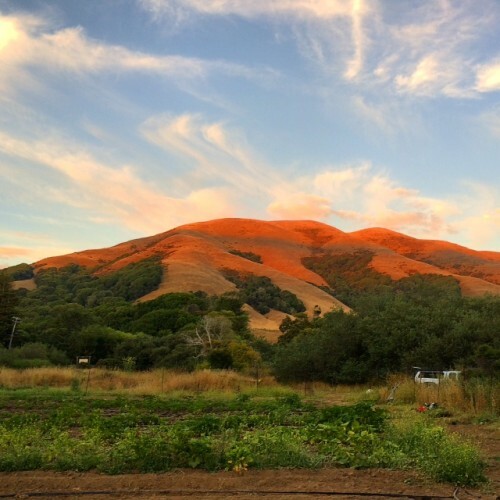 The Seascape are super-sweet and grow up on the plot on the hill above town (atop Toby Lane…) and the Albion variety berries are less sweet but have a more complex flavor and are grown on Cypress. 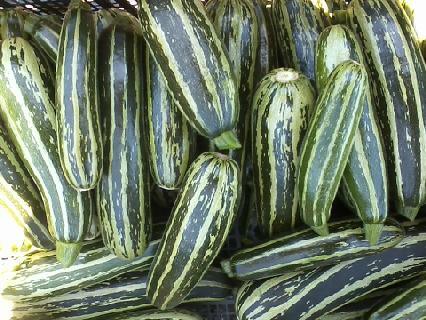 The zucchini (the striped variety is called “safari”) are grown at the MacDonald property and the Cypress plot. In hopes that the weather forecast might be rainy, Eric Oldmixon hooked up the water tank to the rain gutter on the neighboring Emporium building’s roof, thinking maybe we could collect some rainwater for the Brickmaiden garden. Unfortunately, the rain storm went right around us, but we’re prepared for the next one. Hope its a gully washer! We are adding CSA members right now. 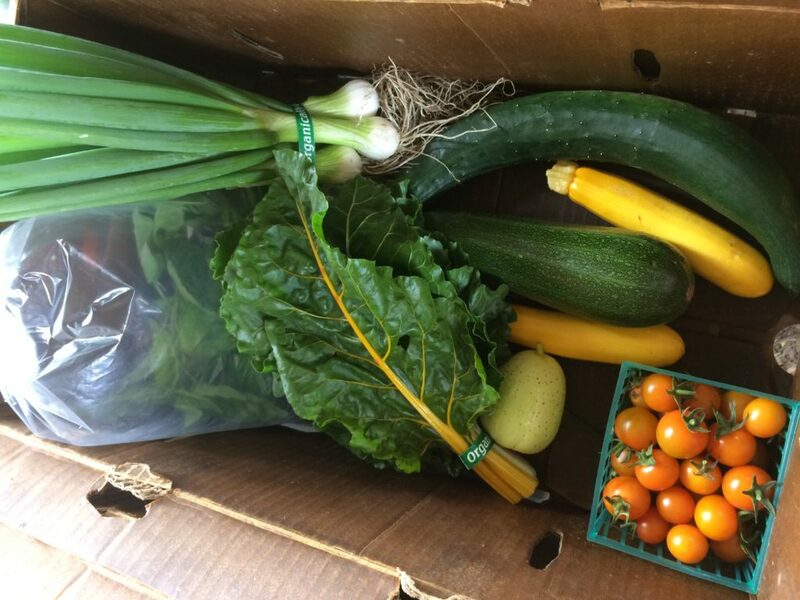 Every week, you’ll get a lovely box of the freshest vegetables. You’ll make wonderful meals that are full of taste and nutrition. 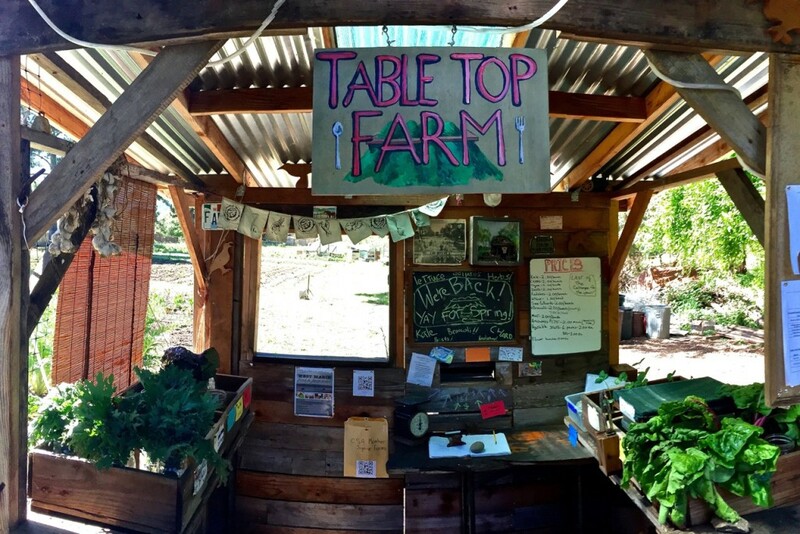 And you’ll be supporting your neighborhood farm and participating in the local food system, which has many benefits in the community and in the environment. Its a win-win-win-win-win! We are able to add about 10 new shares over the next month. Let us know if you are interested! Thanks! 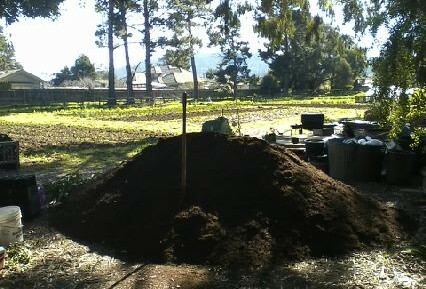 Potato planting time is here! 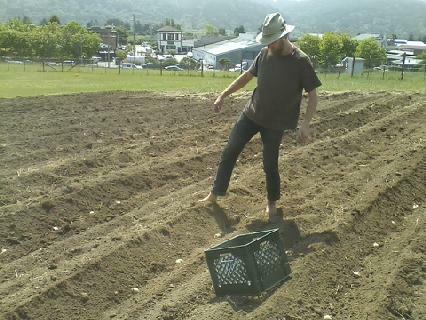 Last week, Ben, Falipa and I planted about a 1/2 acre of Yukon Gold and Bodega Red (a rare potato variety from Bodega Bay that almost went EXTINCT! 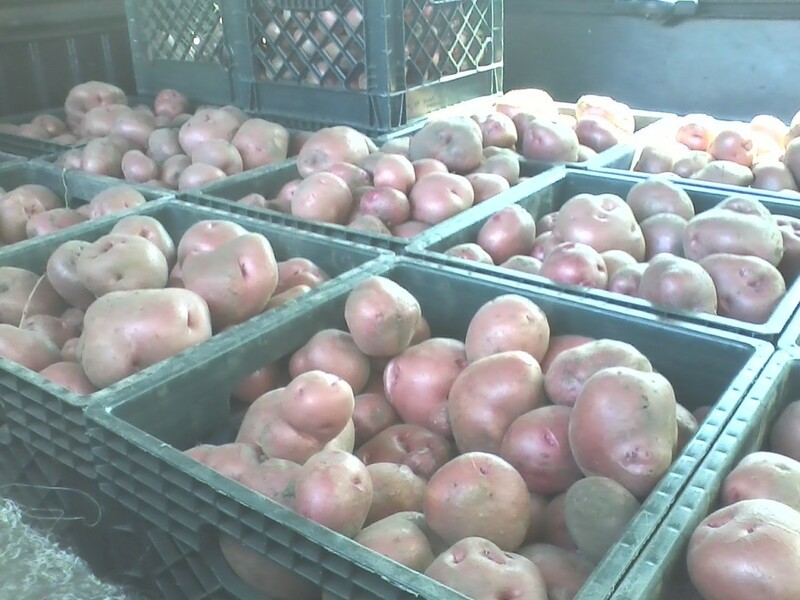 – to read more, go here: https://www.slowfoodusa.org/ark-item/bodega-red-potato) up at the plot on the hill above town (Scott’s plot). 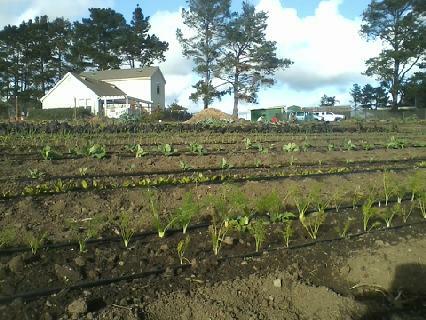 Just after we planted, it rained all night long. What luck! 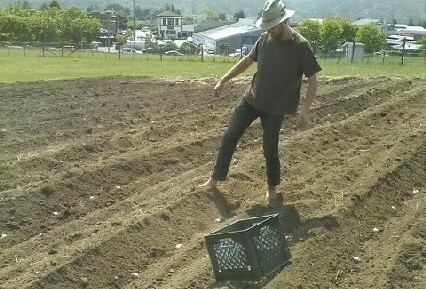 We are planting the rest of the potatoes to harvest as “new” potatoes up at Macdonald Lane plot (Tony’s land). 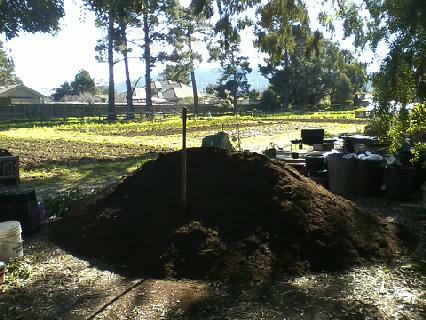 After we were done planting, we went and ate french fries, in hopes of a bountiful crop. 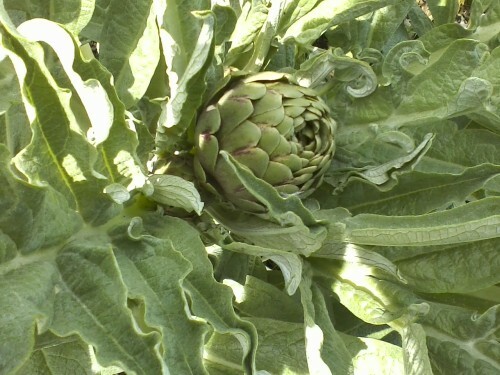 The artichokes have arrived!! 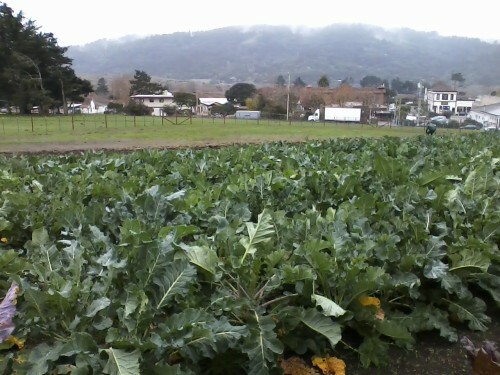 We planted two varieties (Violetta and Globe) last June up at Whidden’s field (above town). They are so delicious and simple steamed and dipped in butter. 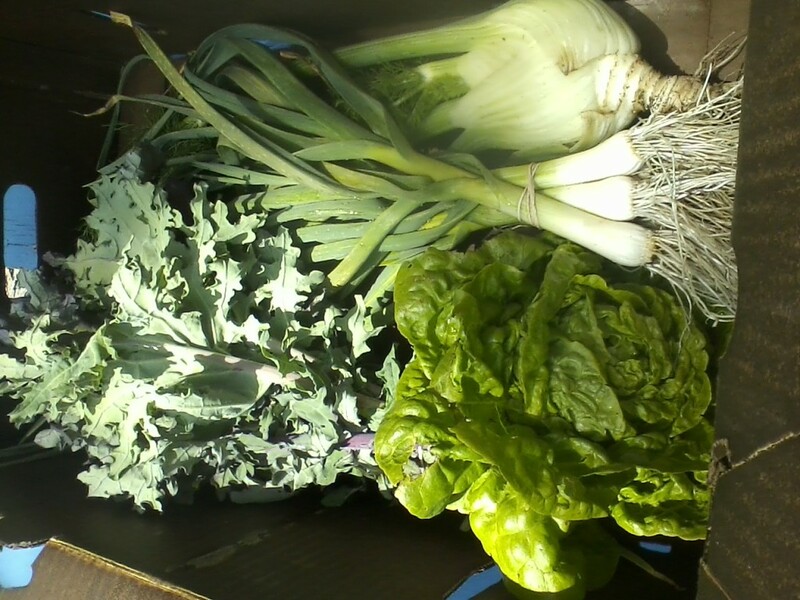 Right now they are in the farm stand at Cypress. 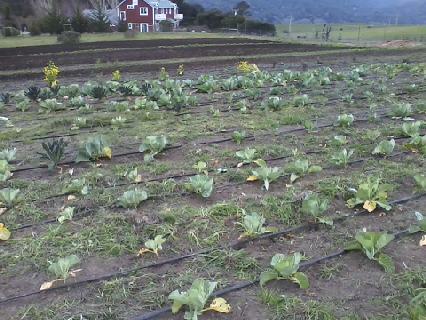 Suddenly, there are many cabbages in the field at Macdonald lane. They are so delicious raw or cooked. 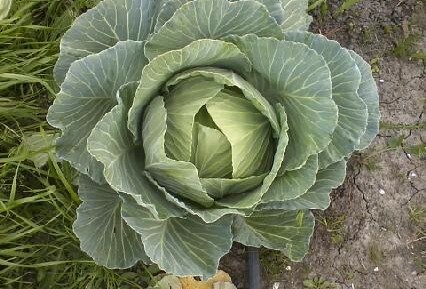 A great, old variety called Glory of Enkuizen. They won’t last long with all this warm weather we have been having. 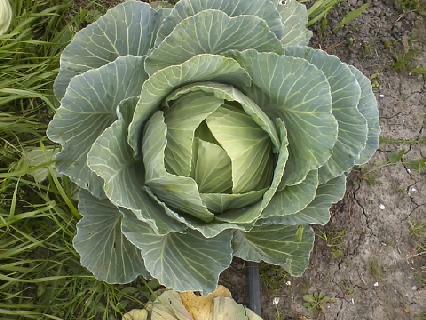 Ben and I planted them by seed in the greenhouse last July. Erika Hara, Mike Coffino (amazing volunteers!) and myself transplanted them last October. 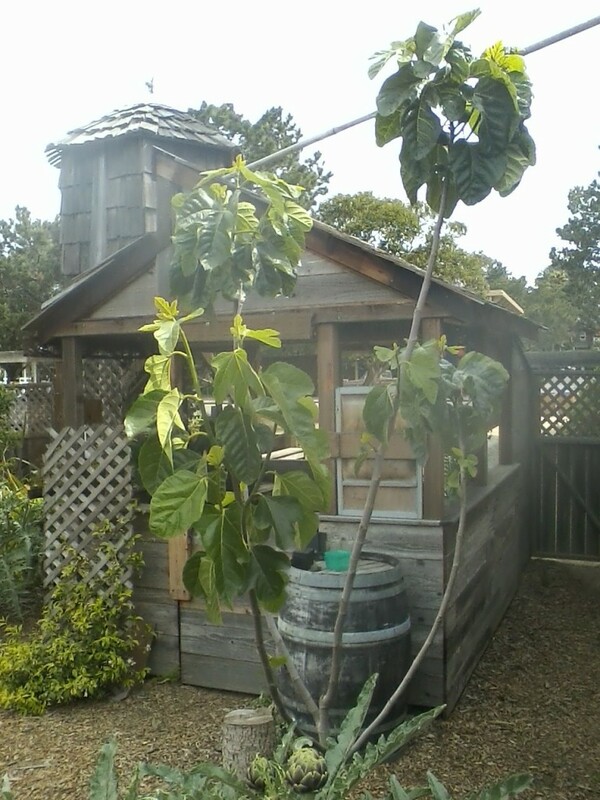 Ben and I (mostly Ben…) weeded them about 1.5 months ago and my have they grown since then! 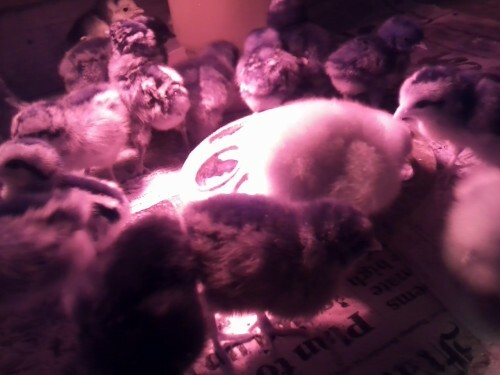 Twenty-two little peeps just arrived yesterday morning in the mail. After their bumpy ride out here from Iowa, they seemed to settle into their new little home and have already noticeably grown. In about 4-5 months they will start laying their first eggs, which will be in the Cypress Road farm stand. 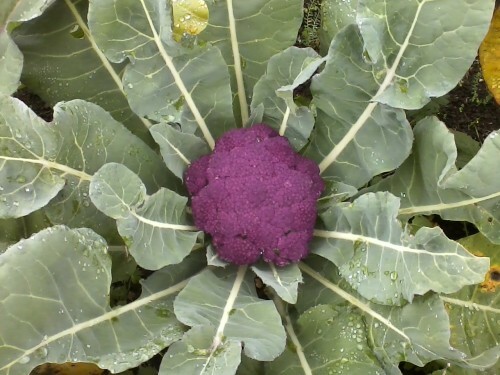 Finally, the purple cauliflower is here! What a surprise it was to be walking among the hip-high rows of broccoli and cauliflower and notice these gorgeous, purple blossoms taking shape, calling out to the world.